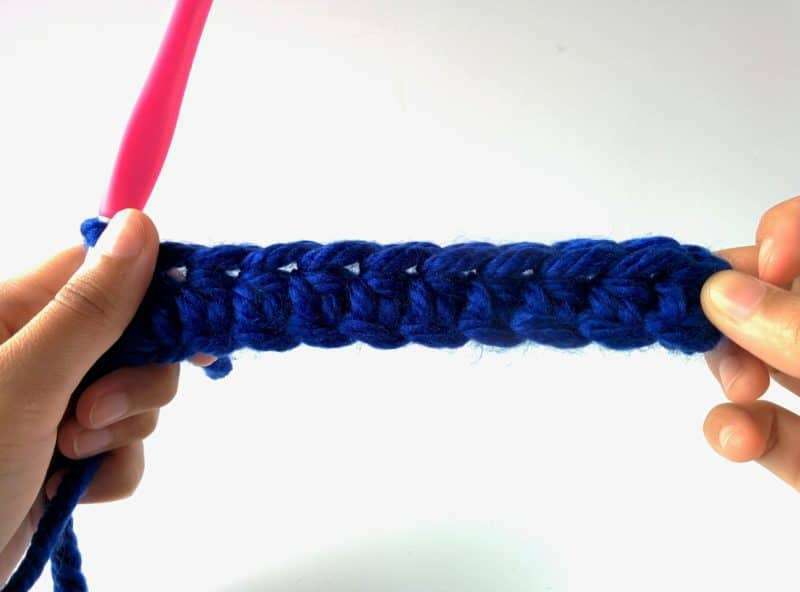 A half double crochet stitch is similar to a single crochet, except a little bit taller. It’s a great stitch for creating fabrics that are a little looser than something made in single crochet. 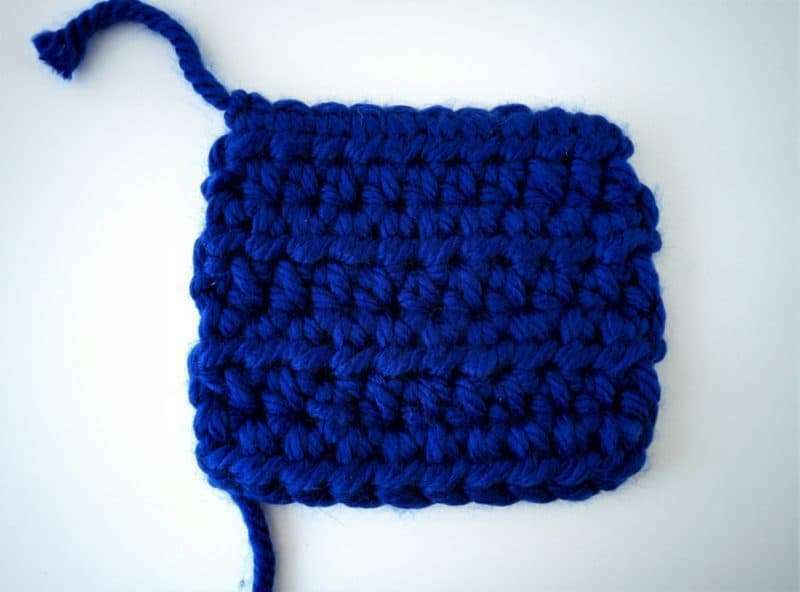 This stitch is usually used in place of single crochet because it also works up faster and can be used to create different textures. 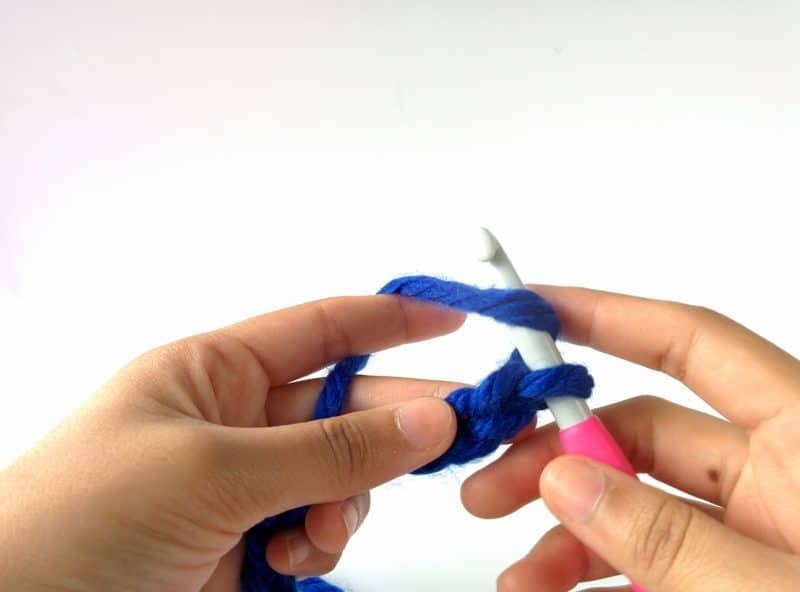 In this lesson of our Crochet 101 series, I’ll show you how to work a half double crochet! So far, we’ve covered a few lessons in this series already. Take a look at them below if you need a refresher. 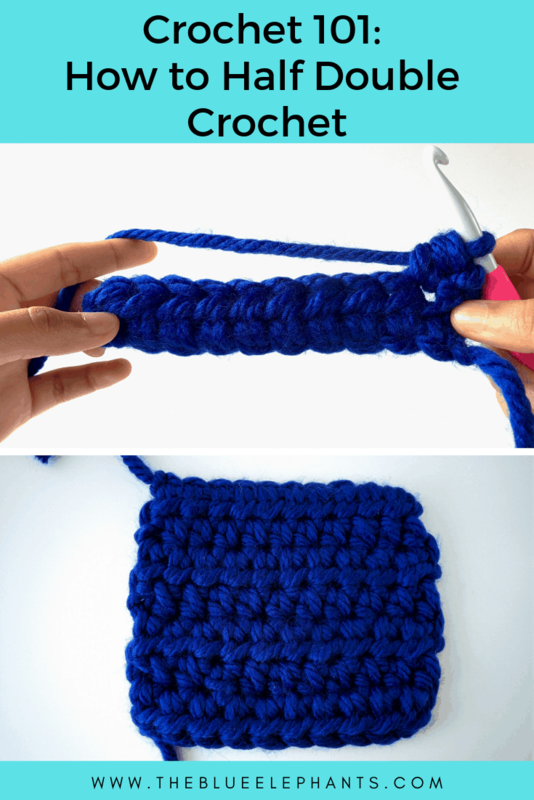 Crochet patterns use a lot of abbreviations to save space and make it faster to look through a pattern. 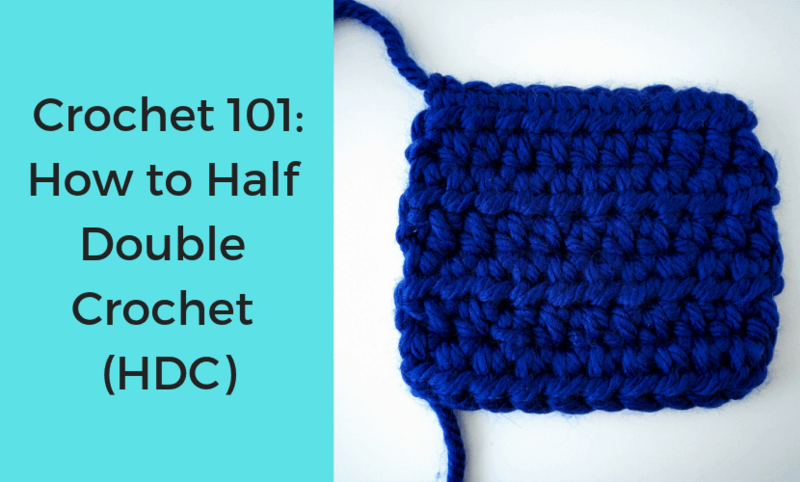 The abbreviation for half double crochet is HDC in standard USA terms. As you learn more stitches and learn to read patterns, you’ll come across a lot more abbreviations so I have a handy little printable to help you keep track of them all. Just click the image below to grab it! First, let me show you how to work this stitch through pictures so you can see how each step should look. There’s also a video tutorial below if you want to follow along with that. To make a row of 10 HDC, start with a chain 11. 1. 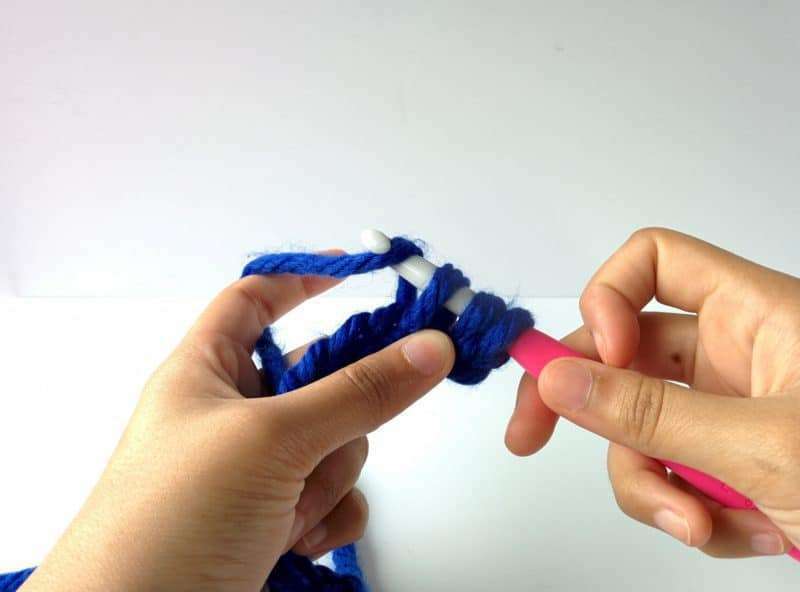 Bring your yarn over the hook and insert your hook into the 2nd space from the hook. 2. Bring your yarn over the hook (YO) and pull it through your chain. You should have three loops on the hook now. 3. 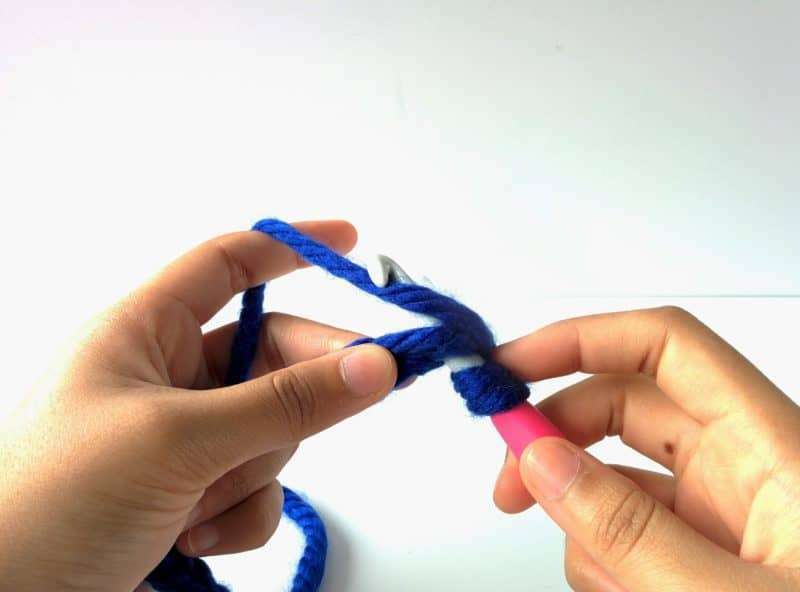 Yarn over again and pull the yarn through all three loops on your hook. Repeat these steps into each chain space remaining to create the first row. Then, at the end of the row, chain 1. Turn your work over so the hook is on the right again and you can work the next row. Work a few rows and you’ll get a sample like mine below. That extra loop gives some height to the stitch that single crochet doesn’t have, but other than that, it’s really the same. I love using HDC and it’s just the beginning of so many wonderful, cool stitches. I hope you follow along to see what other stitches I share. 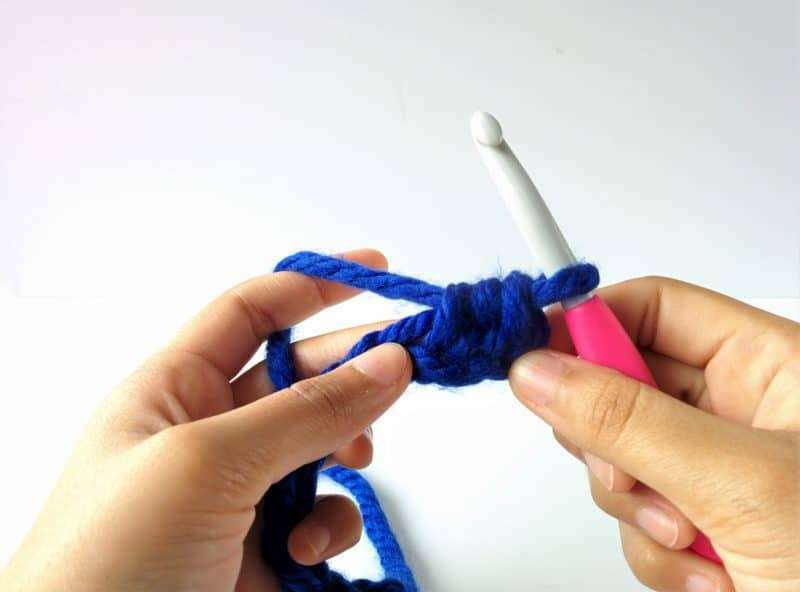 If you want to crochet at your own pace and get more tutorials, tips, and patterns all in one place, check out The Beginner’s Guide to Crochet! It’s an ebook with all my the first 12 lessons (complete with pictures and video just like this post), more tips on choosing the right materials and tools, along with 12 beginner-friendly patterns (also with video). Just click the image above to grab it! Thanks so much for reading! 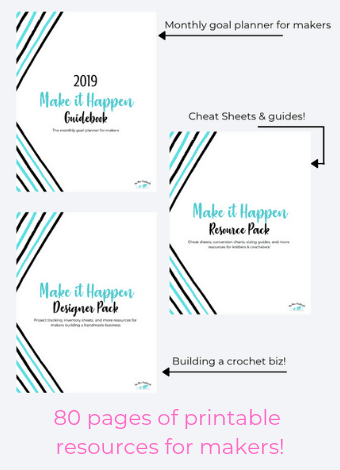 If you want to get even more freebies and new patterns, tips, and tutorials sent to your inbox every week, use the box below to subscribe to the weekly newsletter. 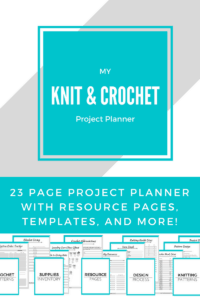 It’s free and you’ll get access to the subscriber-only resource library filled with goodies to help you crochet better!